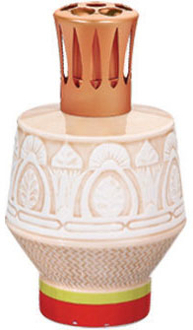 This beautiful Berger lamp is a study in fine detail with an Egyptian motif. The lamp is colorful yet understated in appearance. It is supplied in a nice gift box with a burner, funnel and instructions.